We just spent the past couple days on the red carpet, the signature red carpet of the Premiere Orlando Beauty Show that is! Known for being THE place to find the latest trends and hottest products, Premiere Orlando is the country's largest beauty expo where leading brands and newbies alike showcase their latest and greatest for two action-packed, beauty-filled days. Beauty shows are a whole other universe unto themselves where one minute you're having a man on stilts slather a gold-flecked night creme on your wrist and the next you find yourself in the middle of a blowdryer-themed dance party while watching stylists on stage put the finishing touches on an avant gard style that extends four feet into the air. Not to mention there's curls galore, amazing new products and expert stylists at our disposal to answer all of our burning beauty questions. It's truly the stuff a beauty junkie's dreams are made of! Here are some of the pictures from this event so you can get the scoop on some of our finds from this year's show! 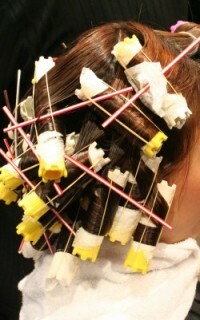 A Matrix artist breaks out his secret finishing touch to this style: porcupine quils! Flourescents couldn't shine brighter in fashion right now. 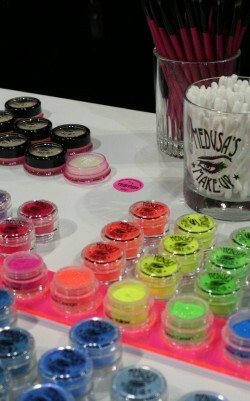 Check out these glitters for eyes, lips, hair and skin. 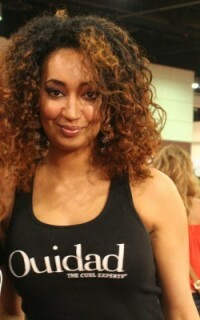 A Ouidad stylist glammed up with her free-flowing curls. Perms are BACK! Spotted on Takara Belmont's stage, these rollers hook into a special dryer that blows air from the inside out for super soft wave pattern. 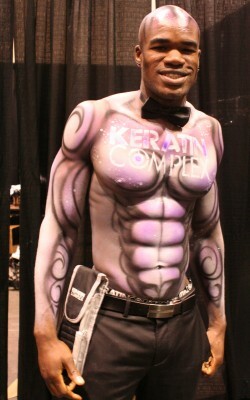 He's got the full package: abs, airbrushing AND a Keratin Treatment?! Yes please! 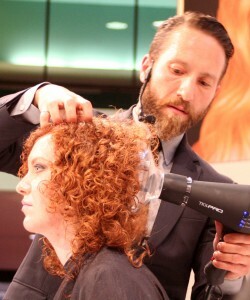 Gorgeous pastel pink waves are on the Redken stage. 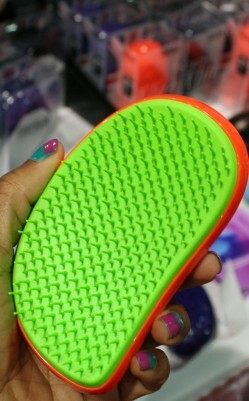 TangleTeezers, one of the most divisive detanglers in curly history, available in awesome new neons and a professional line. 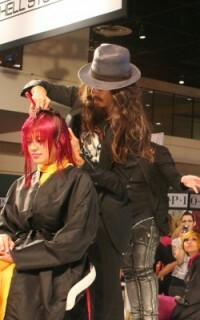 Can't tell what is more awesome: his waves, the hat, or her color. Why don't we just go for all of it? These guys know curls! 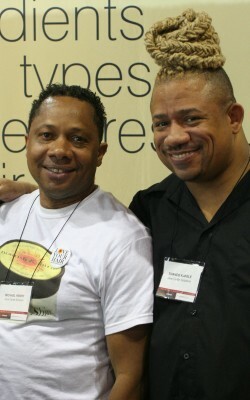 Michael and Thando of Jane Carter Solution. 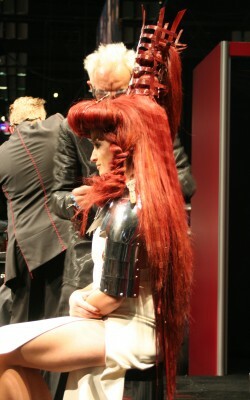 Full texture with a bold streak as seen on the neo-military Matrix models. 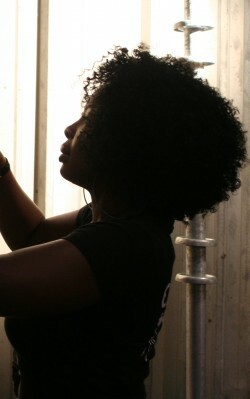 The striking silhouette of an Aveda artist putting the finishing touches on her model. Stay tuned for more Premiere Orlando coverage for round ups of the latest trends (and how you can get them! ), beauty finds and hair products!